Hello and Happy Sunday peachy friends! 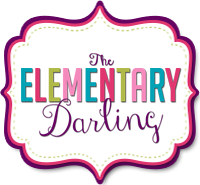 I don't know if you are like me, but I LOVE shopping for my classroom at the Dollar Tree. They have some really great posters in the teacher section and I like to use them during my units. I started buying so many that I ran out of room to store them! They were literally everywhere: my car, my home office, and in random places stuffed in corners of my classroom. So this month, I decided I was going to organize my posters! I am in the process of organizing them as I use them. So far, it has been awesome and I have zero complaints. I have a really small space in one of my closets to hang things. 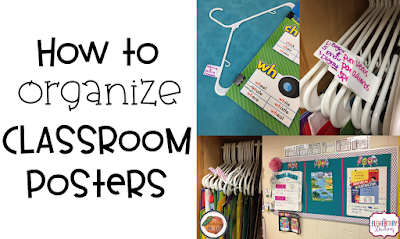 I decided this was the best use of my closet space for anchor charts and posters. There are no other spaces in my classroom to put a trash can or hanging spot, so I use what I have! I bought shipping labels that are 2x4 inches but you can use any size of label you prefer. I wrote on half of the label and wrapped it around the hanger. This way I know which two posters are on that hanger and I can pull out what I need. I also got binder clips to attach the posters to the hanger. I can usually hang two posters that are laminated on there. The lamination makes it a little bit heavier, so I try to stick to two posters. It really helps me to just grab what I need to post on my bulletin board. Sometimes I post them directly in the space, like my unit poster, and other times I post them under the anchor chart that I have made with my students. What I like about this process the most is that it is simple and affordable if you have the closet space. How do you store the posters that you buy? I would love to hear your storage solutions in the comments below! 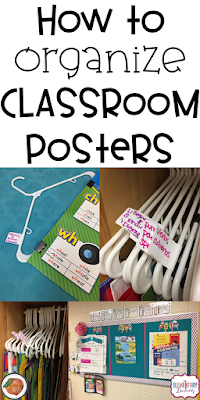 Classroom posters are definitely helpful for building a positive classroom environment. 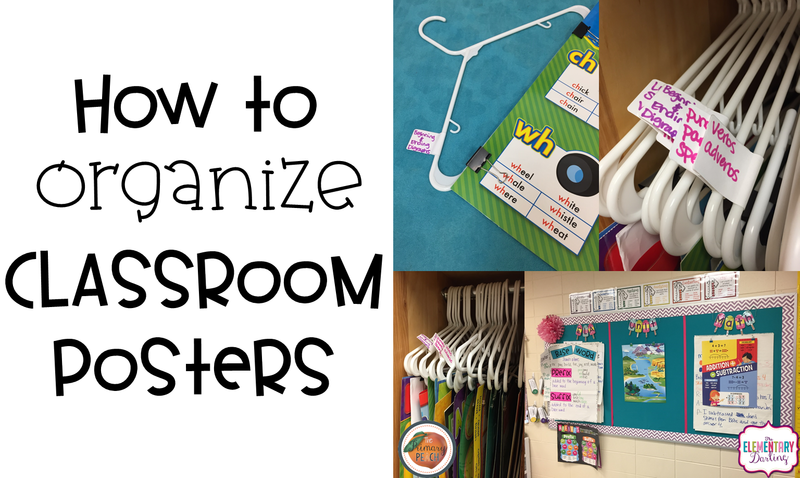 Classroom posters and organization charts are also a great way to teach students the writing process. They can also inspire students to write more effectively.